Hanaa Ben Abdesslem is a rising star in the modeling world. 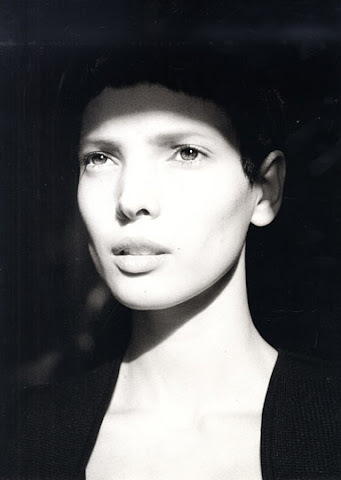 Known for her hair and her eyes, the Tunisian model began her career walking for Vivienne Westwood and Givenchy. She has since walked for Ana Sui, Ralph Lauren, JPG, Chanel, and Hermes among others. 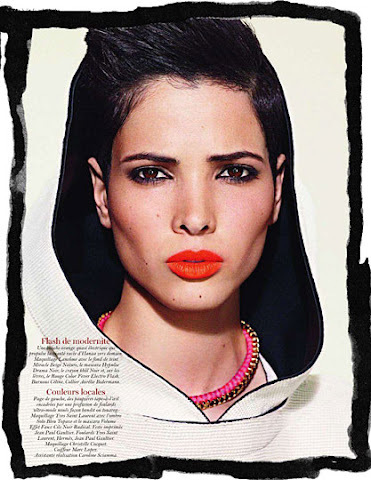 Hanaa has also appeared in French Vogue. I'm interested in seeing her in more editorials. I see her casted in an action movie as well. she looks different in all her photos, even a little halle berry-esque.